Do you have a dank, musty basement that reminds you of a dungeon? Why not convert that space into a customized finished basement with Markey Windows, Doors, & More? Your basement is a realm of nearly limitless possibilities. You could finally have that rec room, home gym, home office, or children’s playroom that you’ve always wanted, but never had the space for. 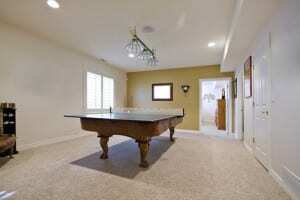 A finished basement can also add to your home’s market value. Markey Windows, Doors, & More is Manville, New Jersey’s premiere home remodeling and renovation service for all your basement finishing needs. Call today to find out more about transforming your cold, unfinished basement into a brand new addition to your home. The contractors at Markey Windows, Doors, & More are the area’s go-to construction service for creating a beautiful finished basement in your Manville home. They can overcome a multitude of construction and design challenges to create the extra living space you’ve always dreamed of. These are only some of the many possibilities for your newly finished basement from Markey Windows, Doors, & More. Call today to find out more, or to ask about an estimate for transforming your dusty old basement into a one-of-the-kind space you can call your own. IF YOU ARE LOOKING FOR FINISHED BASEMENTS IN NEW JERSEY THEN PLEASE CALL 1-800-605-4470 OR COMPLETE OUR ONLINE REQUEST FORM.